sandra juto: Wristworms on SALE this week! 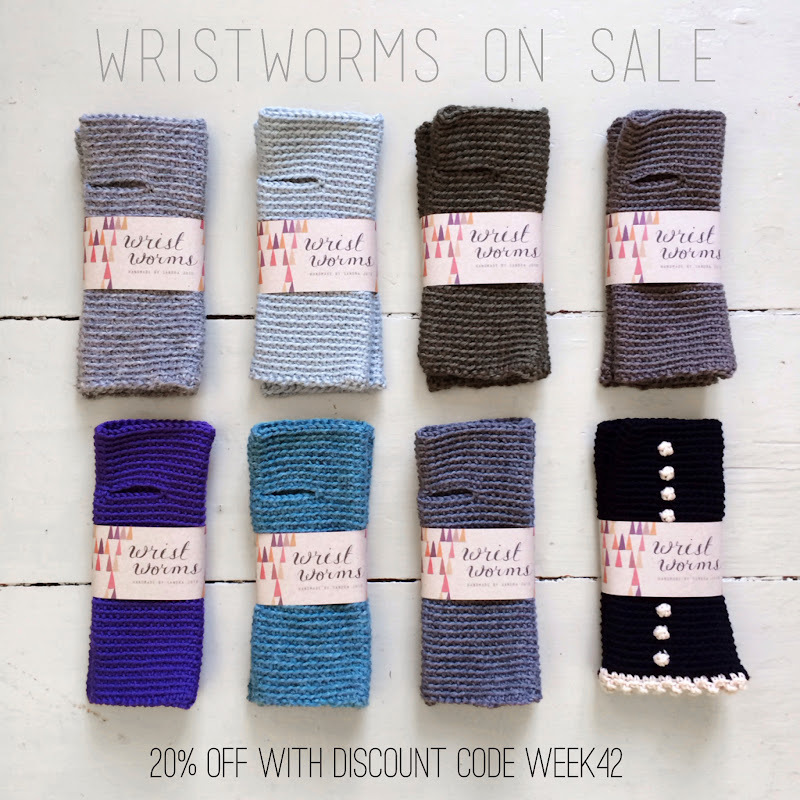 Wristworms on SALE this week! 20% off on all wristworms (fingerless gloves, handmade by me) this week (€28 instead of €35). Enter discount code WEEK42 on checkout. Worldwide shipping and all info in the shop - welcome! I only sell the worms online :) Hope you'll find a steady address soon, wish you best of luck!